Exploring Vicious New Breed of Femme Fatale with Dr. Clarissa Cole on After Hours AM/The Criminal Code What could be lower than making your child sick for sympathy, fortune, and fame? On a timely and innovative episode of After Hours AM/The Criminal Code — True Crime Wednesdays 9-11pE with hosts Joel Sturgis, Eric Olsen, and secret weapon, forensic psychologist Dr. Clarissa Cole — we examine a new kind of Femme Fatale, inducing illness in one’s own child to garner sympathy, fortune, and fame. Dr. Cole leads our dive into these depths of depravity at 10pE; at 9pE, we look at the latest True Crime headlines and wonder WTF. Ever on the vanguard of True Crime trends, Dr. Clarissa Cole has seen the development of a new kind of Femme Fatale with surprising ties to the despicable Munchausen’s Syndrome by Proxy. In an article on her riveting The Criminal Code site and on tonight’s show, Dr. Cole reveals all. There is a new way to become the center of attention and garner profit these days. And, it works especially well if you’re an attractive woman with a young child. But this seductress isn’t looking for one measly man to bleed dry: she’s looking for as many poor saps as she can find! She’s taking her story to social media and go-fund-me campaigns, trying to swell her bank account to bursting. Yet she isn’t using her feminine wiles to do it. She’s using the illness of her child and preying on the sympathy of strangers. She is, quite simply, a new form of femme fatale. Version 2.0, if you will. You see, in the past, Munchausen’s Syndrome by Proxy (making another ill to garner attention and sympathy) was still something that happened. However, it was manifested primarily for the secondary gain the mother received in the form of attention from treatment providers, family, and perhaps some friends. But it has evolved. It has become a numbers game. How much money can the mother make? How many gifts can she accrue? How much attention can she get? 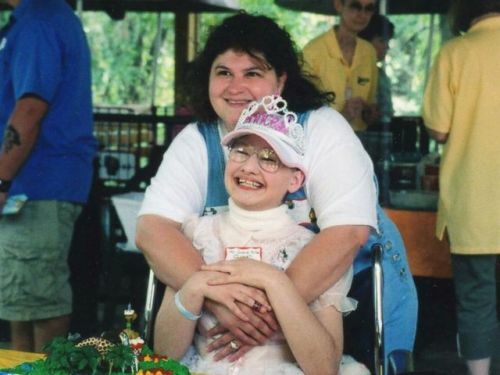 Dee Dee Blanchard was a single mother to a daughter that she named Gypsy Rose. Despite her healthy birth, Gypsy was a markedly ill child, beset with seizures, confined to a wheelchair, and devoid of all of her teeth. Unbeknownst to an adoring public, Dee Dee had been fabricating stories about Gypsy’s health for many years. So long, in fact, that Gypsy didn’t even know how old she was! Dee Dee continued to move them from place to place, subsisting on the goodwill and sympathy of others. In the end, Dee Dee had amassed a free home, free travel, and many other such gifts from the Make-A-Wish foundation, among others. For 5 years, Lacey was an avid mommy-blogger who leaned on the support of her social media followers. Largely she spent her time documenting the struggles of her son, Garnett. Hailing from Kentucky, Lacey had begun chronicling when Garnett was just a baby, in 2010. She noted that he had a feeding tube and she took photos for his loyal supporters, even when he went to the hospital…which happened quite a lot. 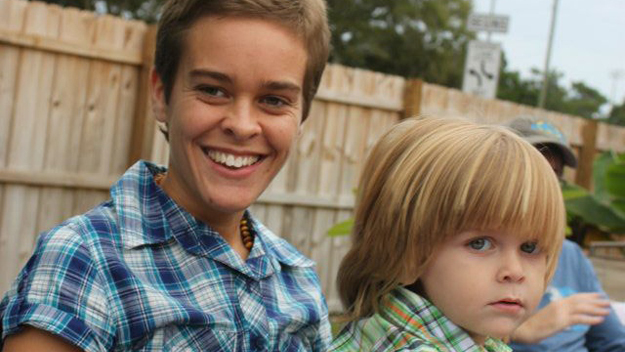 Seizures were part of the problem with “Garnett the Great” and Lacey spent many hours detailing just how exhausting and harrowing it was to be a mother to a wonderful, but dreadfully sick, boy. She doted on Garnett and seemed to be doing everything in her power to help him, including moving them both to New York state in 2014. But by that winter, he’d again been hospitalized. Soon thereafter, he passed away. 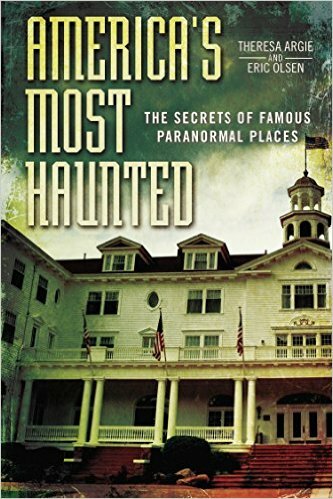 Become an America's Most Haunted insider! Sign up here to receive exclusive hotness first, our newsletter, and much more! We won't share your email address. In America’s Most Haunted, “Haunted Housewife” investigator Theresa Argie and journalist Eric Olsen team up to take you on a first-person tour of some of America’s most active paranormal hotspots. Copyright © 2012-2019 America's Most Haunted. All Rights Reserved. Become an America's Most Haunted insider! Sign up here to receive exclusive hotness first, our newsletter, and much more! We won't share your email address. After Hours AM is changing talk radio Listen now!